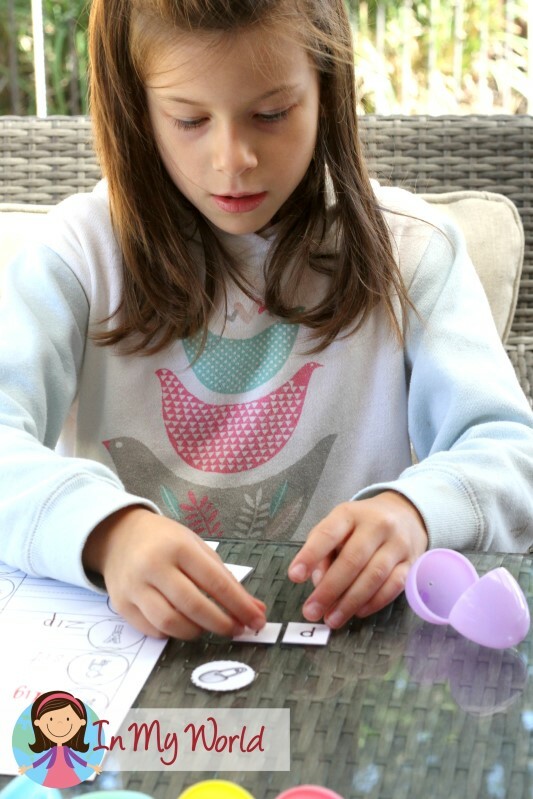 Plastic eggs are great for making learning fun during Easter! 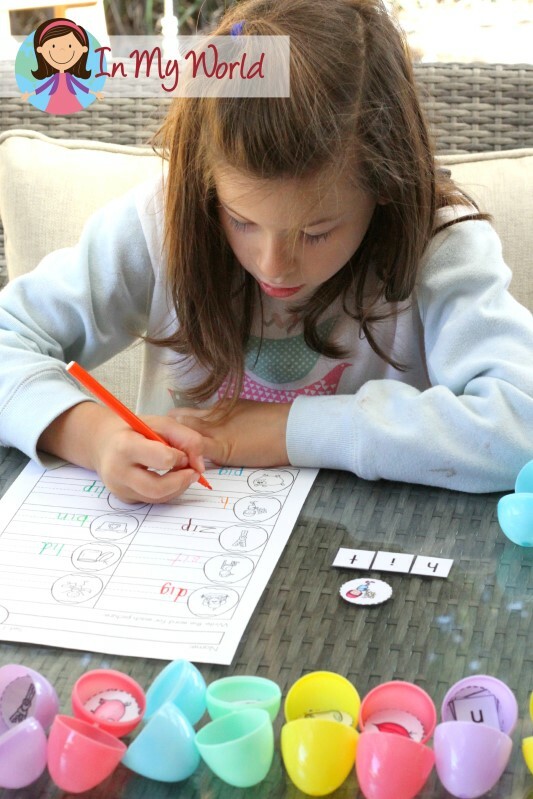 I bought some from Woolworth’s (Australia) the other week and started looking on Pinterest for word work ideas that were flexible enough for me to use with Filip (preschool) and Cami (Grade 1). I found a few ideas and I especially liked this one from Creekside Learning. It was perfect for Filip, but Cami would need more of a challenge. So, I made my own set. My princess begged me to take photos of her (for once) so here they are! She was SUPER – and I mean SUPER – excited about it! Once the contents spilled out, she arranged the letter tiles to make the picture shown on the card. Then she wrote the words on the response sheet. Once completed, she coloured the pictures. And that, my friends, is a quick “Show and Tell” of my CVC Easter Egg activity. This was an easy one for my princess, but she sure had fun! Click on the picture below to download your complete, FREE copy of the activity! 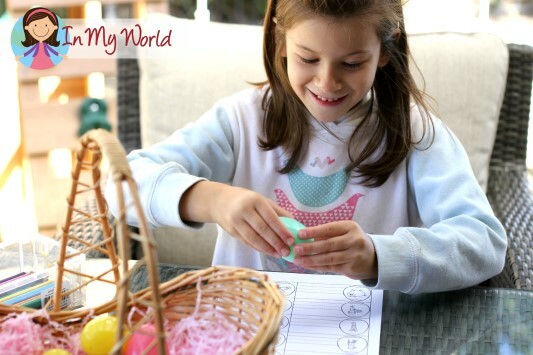 I love using plastic eggs for learning activities. 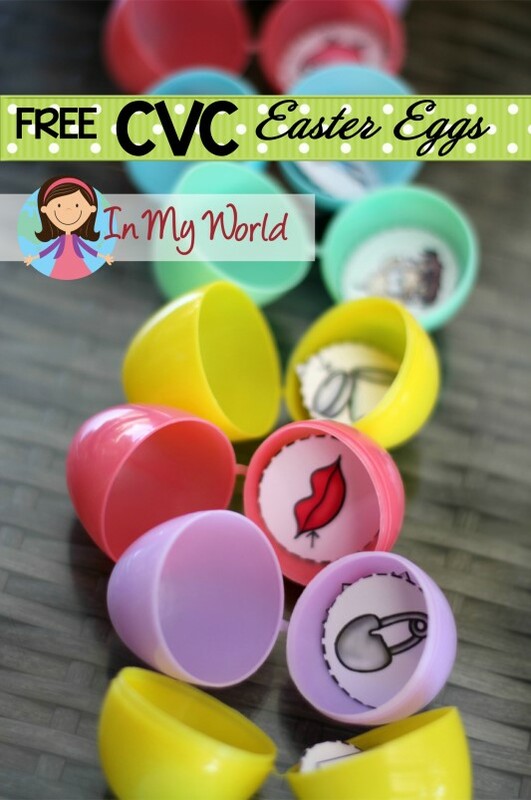 This is so fun — and great practice for the kids, too! This is so cool. Thank you so much for being so creative. How cute! 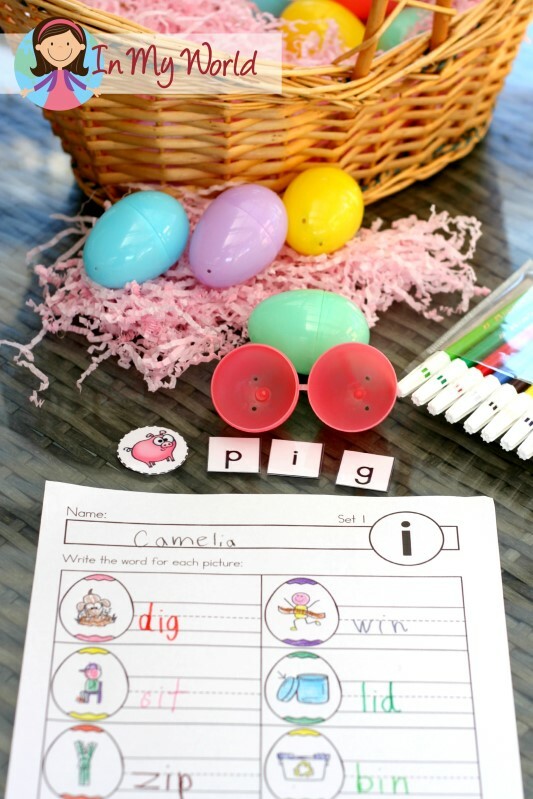 Can’t wait to make this for my kinder class. Thank you for sharing!!! Love it, but when I print the worksheets it cuts off the top part. Any idea why? Dana, please read the printing tip on the second page of the unit that explains how to adjust the settings on your printer to fix this issue. Thank you so much! Great idea ! Excatly what I was looking for. Thank you so much! 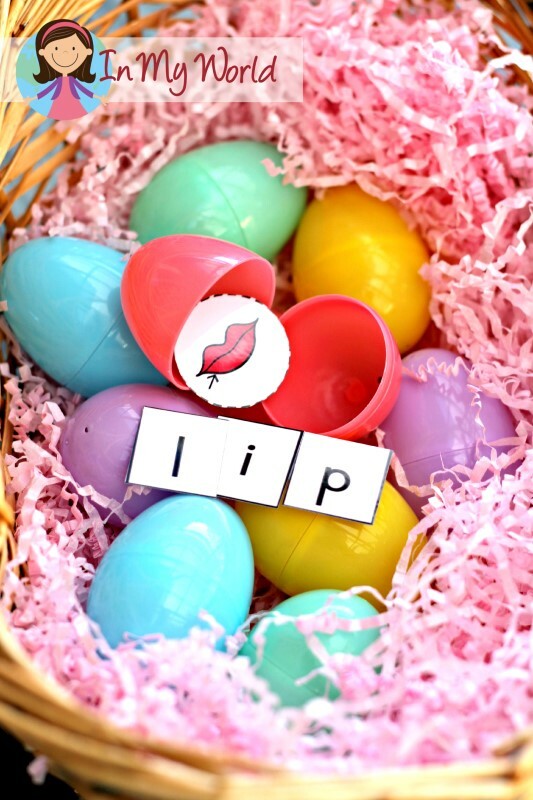 The children loved opening the eggs …great idea. Thank you! Thank you for sharing. I have just found your blog and loving it! My kiddos will love this. Nicely done! Thes will get a lot of use. Thank you. So kind of you to share, thank you.